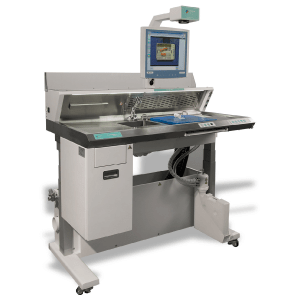 Milestone launched in 1998 the first digital macro imaging system for pathology and ever since has built on decades of experience and satisfied users. Our technology has enabled laboratories to implement better quality assurance oversight, reduce specimen description time, and provide greater accuracy. The new MacroPATH is a user-friendly system that provides high-resolution images, video and audio files. 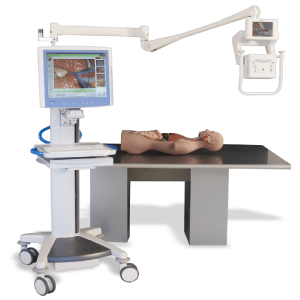 It can be mounted to fit any existing grossing station or used as a stand-alone system. 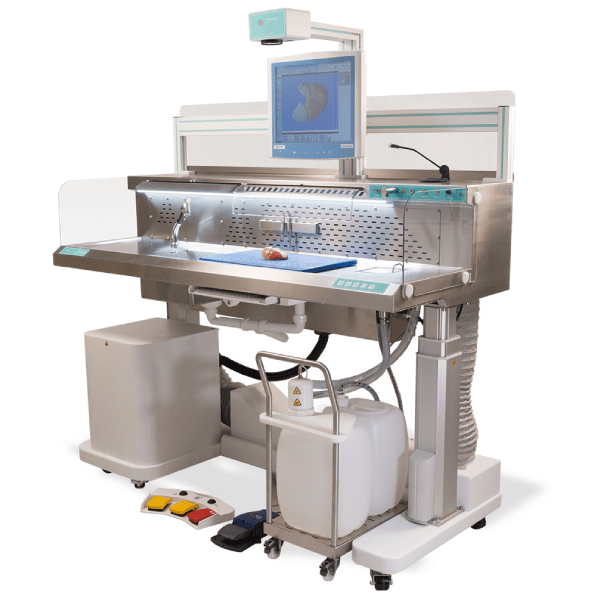 For the grossing room the quality is assured and images are optimized. In addition to stand-alone operations, MacroPATH can be interfaced with a PACS or LIS. Autofocus, auto light adjusting and 30x Optical magnification (and 4x Digital magnification) to capture outstanding quality images, in JPG format. Camera magnification range, up to a total 120x, allows for capture of large to minute details and the built-in leds make the images sharper. Point Of Care (POC) unit features color touch-screen TFT-LCD in a splash and dust-proof IP65 enclosure. Fanless, i7 processor, with USB ports. It is equipped with IP68 dust/water protection. A foot control module for handsfree manipulation of major camera functions (zoom-in/out, save and record). Macro images and MP3 files of descriptive text available to all pathologists at time of sign-off. 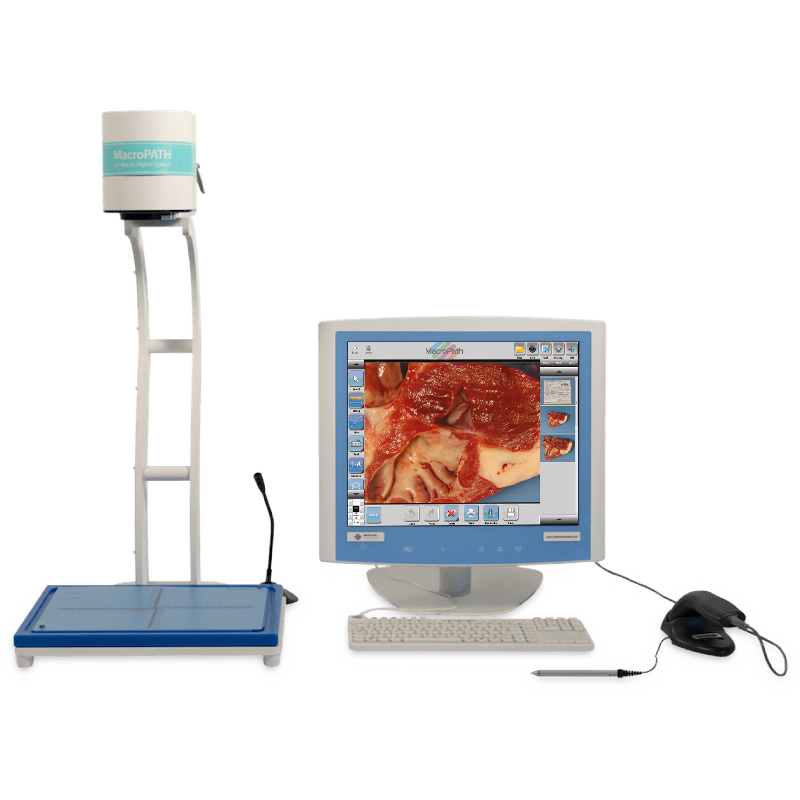 MacroVIEW can be positioned over the examining table to acquire images and detail of excised organs. Auto light adjustment and auto focus – never touch the camera and optical zoom controlled by pedal. 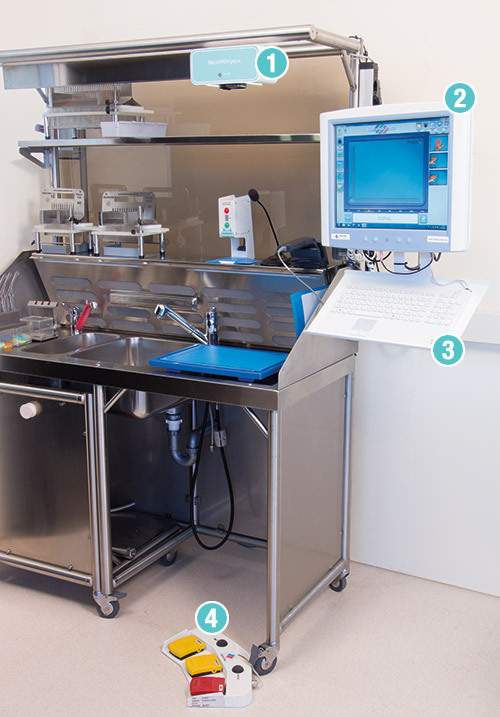 The medical-grade battery-powered mobile cart allows for enhanced exibility in multiple table/room facilities. Interact with with sizes, shapes, blocks location and much more directly on the screen. The MacroVIEW software includes a powerful tagging and searching file retrieval system.